The URLs which are well structured provide the users with quick hints about the topic of the page together with how the page would fit within the website. For helping the mobile searchers in understanding your website better when Google displays it in the results of searches via mobiles, Google is, today, going to upgrade the algorithms which are subjected to show the URLs in the search results for reflecting the names of the websites in a better way, utilizing the actual global name of the website rather than the domain name, as well as the structure of the sites’ in the breadcrumb similar format. This update is posted on Official Google webmaster blog by Google employees: Bartlomiej Niechwiej, Software Engineer, and Rob Ennals, Product Manager. 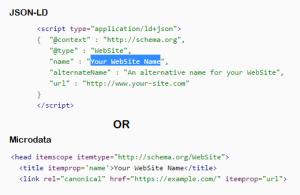 Utilize the structured data mark up on the public website for indicating the preferred name you want the Google to show in its search results. You can also present multiple possible names for your website, and then allowing the Google Search algorithms to select between them. Once the Google has crawled and also indexed the updated page, then Google can utilize the provided name in the search results. 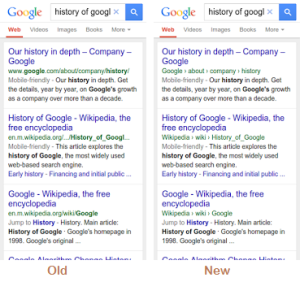 These modifications are gradually rolling out and will only affect the mobile search results. The website name modification is only for US for the time being but the breadcrumbs are rolling out worldwide. For the additional details and the examples of the code one can visit the structured datadocumentation of the Google for providing the breadcrumbs and site names.